This ESP32 Hat work perfect on IO, but as I switch on Wifi it short-cut and reboot. I might have encountered my first bad ESP32 module, but I am not sure yet. I need to assemble another unit and see if this works as this is the first time I assemble this board. 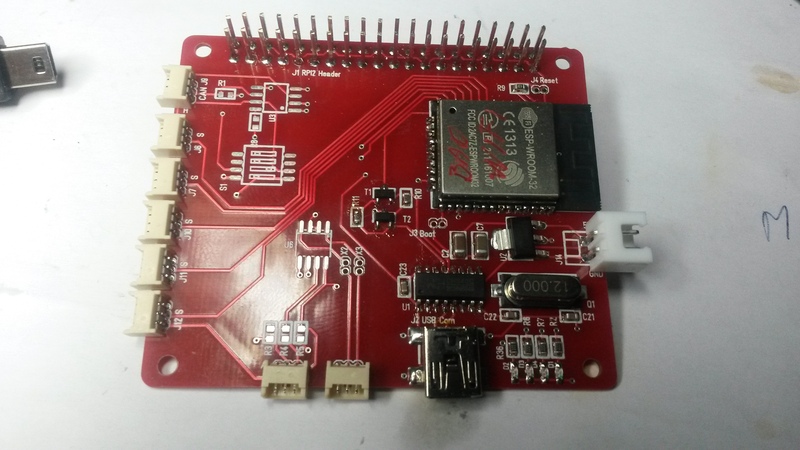 This is an ESP based Hat in Raspberry PI Format. This is basically an experiment as I want to test SPI and CAN on ESP32. The design only serve as a low cost alternative to using a Raspberry PI as this has both Wifi, Bluetooth, CAN, RS485, UART TTL, USB as well as 5 Sensor ports.